All photos by Pauline Egge. 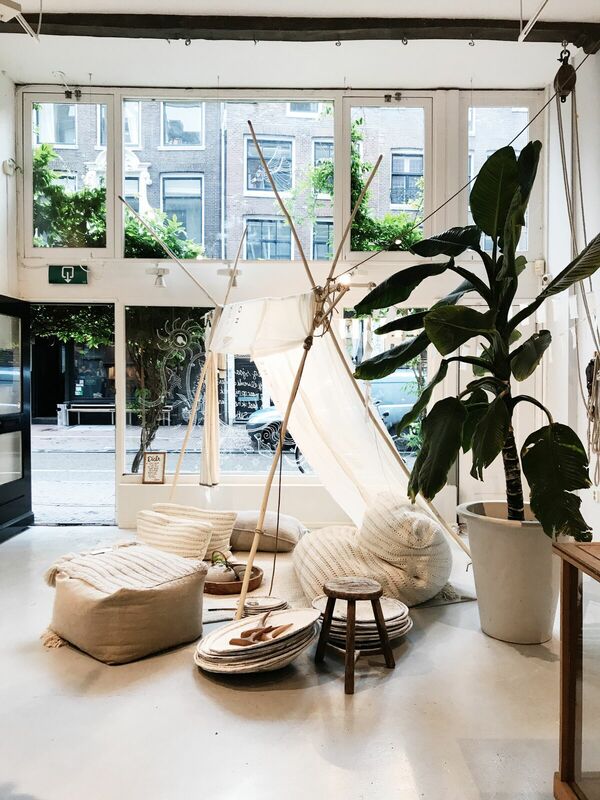 Netherlands-based journalist and founder Pauline Egge keeps meticulous notes about the country's best design spots. She let us take a look at her Amsterdam design list. AMSTERDAM - If you love shopping and, more specifically, unique concept stores, Amsterdam is the place to be. 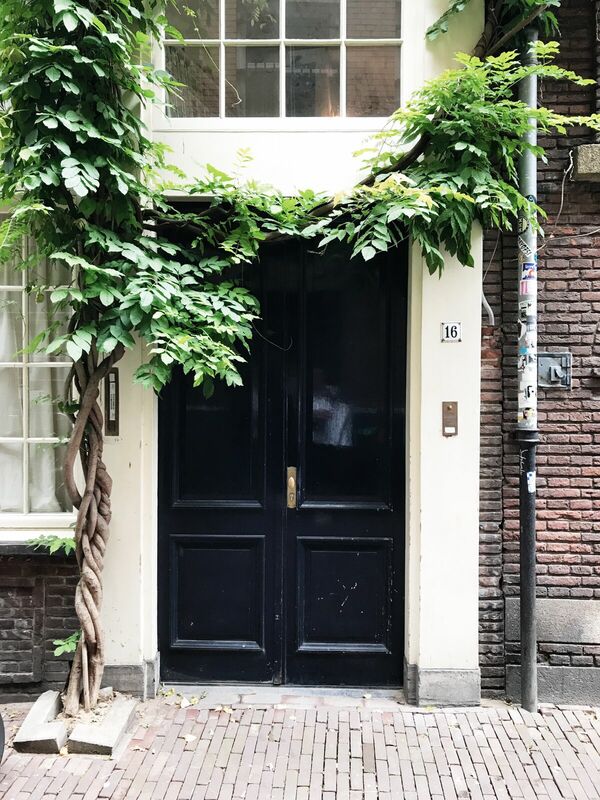 The city has all the world’s big retail stores, but you’ll find the real gems outside the Kalverstraat in the 9 Streets area, where a more original experience awaits. There, you can mix photographing the canals with perusing places like Sukha, Rika, Tenue de Nimes, The School of Life, and Restored. 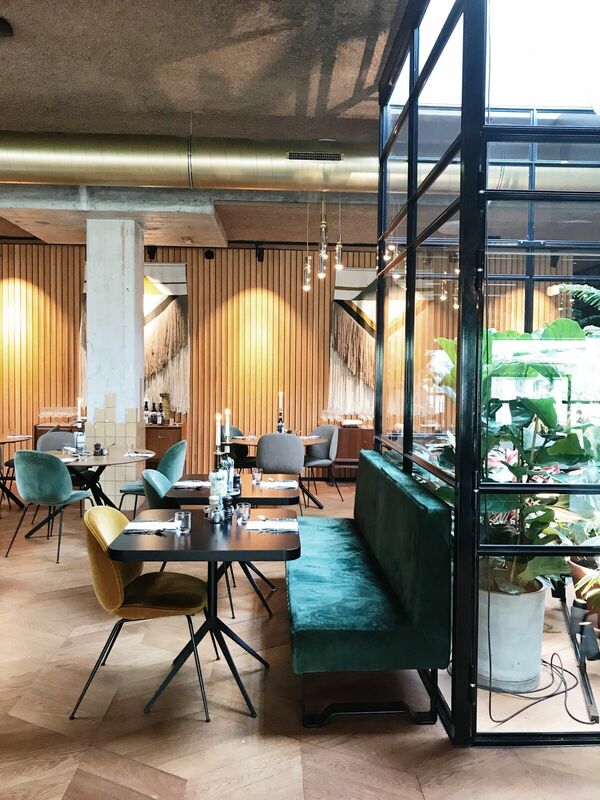 Food and more local finds at De Hallen food hall is only a tram away. I’ve collected some of the city’s most amazing places during my time here. Add them to your map. The are two streets full of great shops. My favorites are , which stocks fashion brands such as , , and ; Restored for design; and (pictured) for eco-conscious fashion. 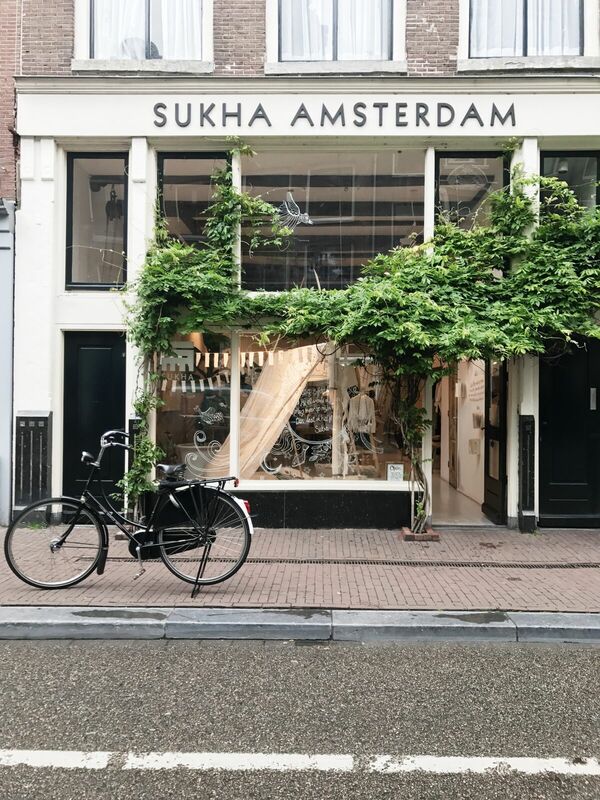 This picture shows the beautiful windows of Sukha. Every few months, artists are invited to create something in the the beautiful picture window. The typical Dutch Omafiets bicycle caps off a typical street scene. Travelers who love discovering new spots in not so obvious places will love , around the corner from National Maritime Museum. 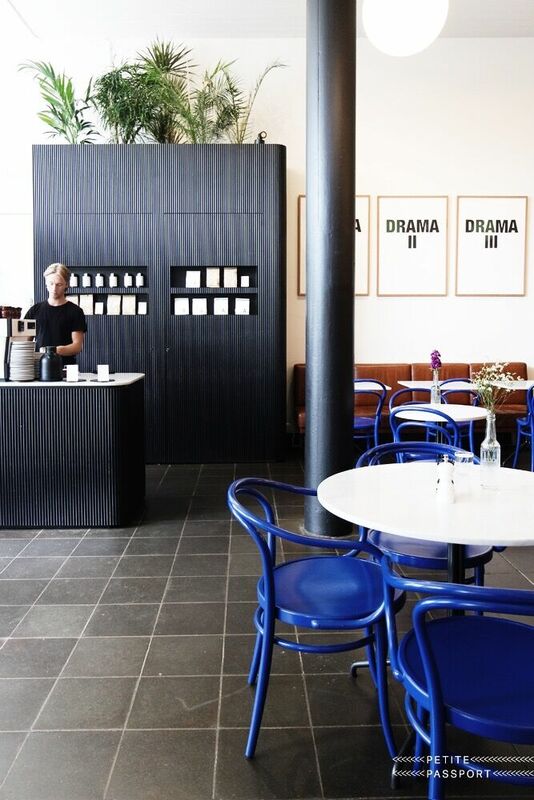 The former theater houses creative agency and a cafe on the ground floor that serves Bonanza Coffee and delicious brunch dishes. Walking through Amsterdam is like traveling back to the Middle Ages. It’s a treat for your camera. 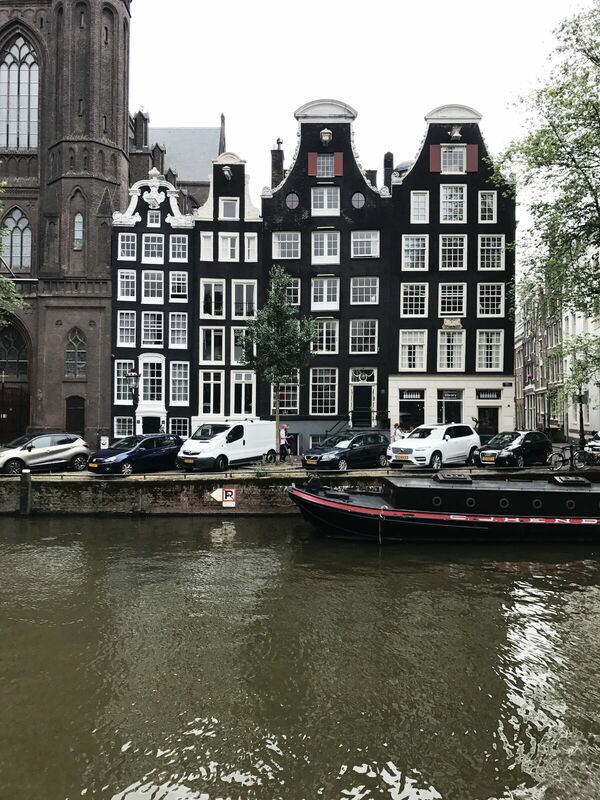 Pictured here: Lovely canal houses on the Singel. 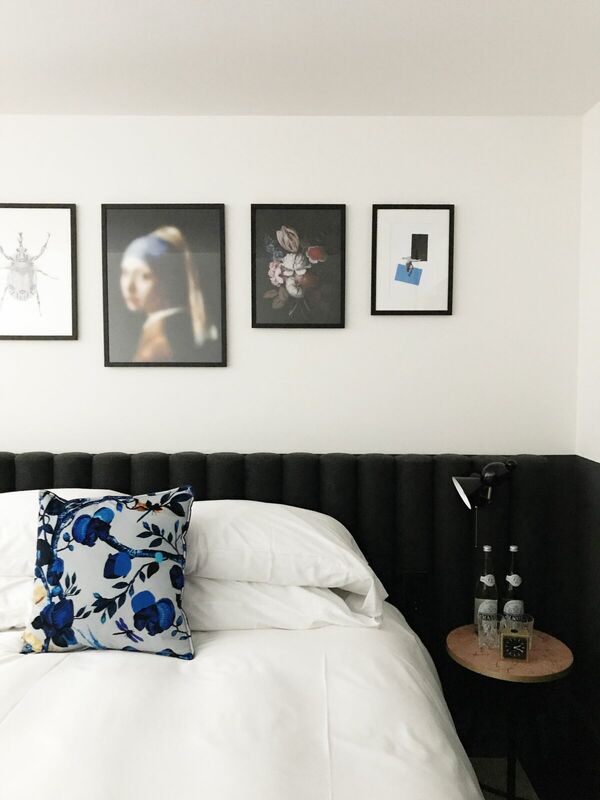 Inside , the first Kimpton hotel in Europe. The hotel opened last summer, has a great eatery on the ground floor called Restaurant , and is comprised of several houses (they couldn’t build up so they built long), one of which used to be the home of poet P.C. Hooft. 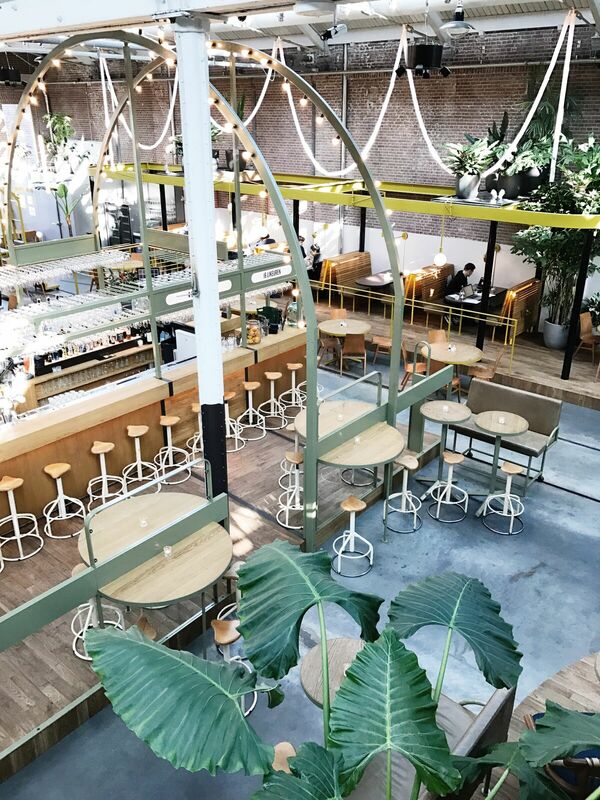 , a former tram depot, has been transformed into a happening place with a food market, restaurants, cinema, shops, and a library. Pictured here is restaurant , a cool place that’s open all day. Equally good for working on your laptop or having a cocktail in the “swimming pool” bar upstairs. One of my favorite hotels in Amsterdam is . They have three hotels in the city: one five minutes from De Dam, another close to , and the latest near Amstel Station. Not that central, but the hotel has a beautiful ‘70s inspired interior and a spacious restaurant called De Lobby. 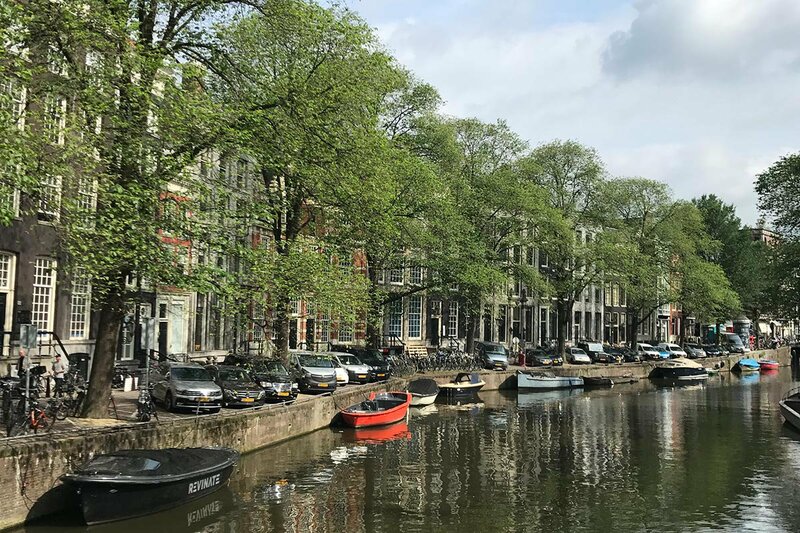 You haven’t been to Amsterdam if you haven’t walked the canals, which are beautiful in every season and during all kinds of weather. If it’s cold enough, you’ll see people ice-skating on the canals. From November until January, showcases light installations along all the canals. In the summer, people who live in the canal houses bring their kitchen table out and gather around to have dinner with friends, family, and neighbors. Sukha means “joy of life” in Sanskrit. You will see their motto throughout the eponymous shop. Just entering the store and seeing all the beautiful products is joyous. Everything is sustainably made by fair and honest producers. 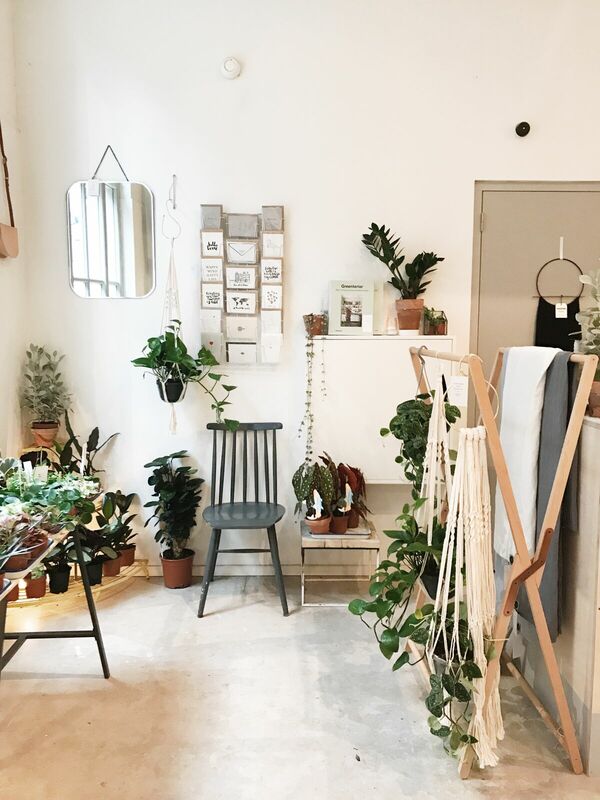 It’s hard to leave without buying something: a warm vest, a quote on canvas, or a hammock. 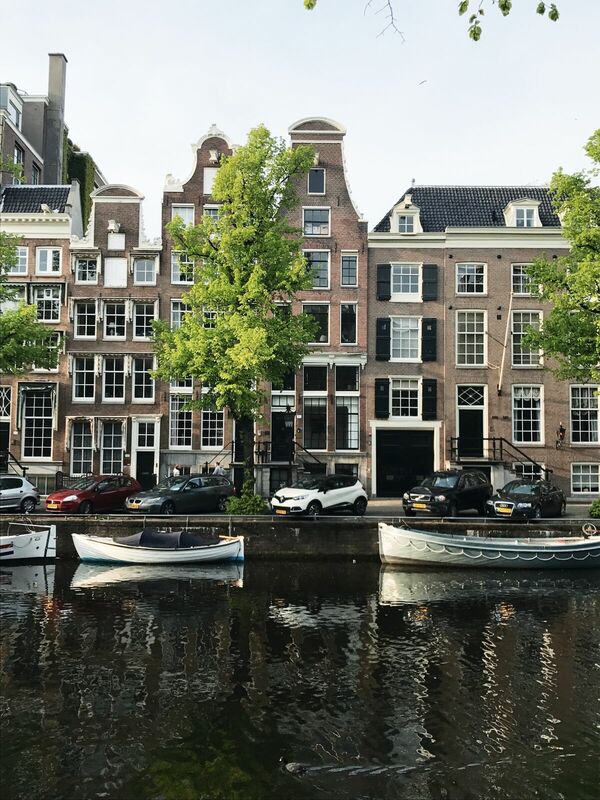 Beautiful, green Amsterdam facades never get old. Every product has a story at , whether it’s a book, piece of paper, or a plant. British owner Jessica Chapman will tell you all about it.